Fashion and beauty go hand in hand. We’ll deliver the beauty to your door but what do you wear with it? 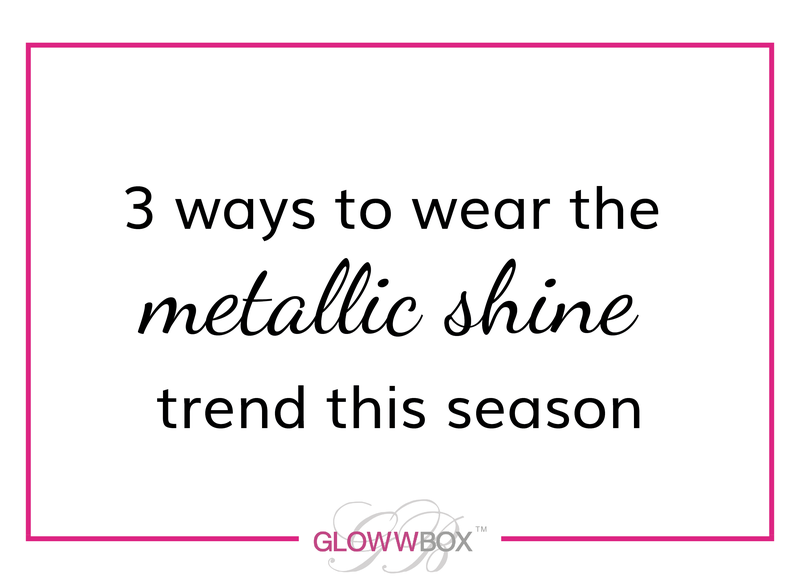 This party season is all about shine. December is the season of glitter, and sequinned garments will still feature, but sparkle has gone all grown-up for winter 2015. Knitwear is woven from metallic yarns and hi-shine metallics are available for the bold among us. For drinks with colleagues you can’t go wrong with a metallic, foil-shine, pleated midi skirt. The respectable length is suitable for the day and the metallic fabric will make you feel oh-so-pretty once you get to the bar. Colour choices range from the relatively demure silver which you can tone down with a black top or the completely out there Tinkerbell green for those without a strict dress code. For partying with friends, anything goes. The more shine the better! If you’re not into sequinned bodycon dresses or gilded miniskirts, just grab a glitter clutch for a gentle nod to the trend. It will go with everything. Shine is not just for the bar. For your family Christmas dinner pair a lurex sweater with leggings or skinny jeans. Lurex is understatedly glamorous and it makes the perfect alternative to a traditional Christmas jumper. It’s special enough for you to stand out in the Christmas photos but subtle enough so you don’t rival the Christmas tree. In December’s ‘Belle of the Ball’ edition of GlowwBox, we’ve popped in a little something to make sure you shine, regardless of whether you choose to wear sequins, foil-shine, lurex or just your favourite little black dress. We don’t want you to miss out – click here to sign up and receive some shine in a bottle! This entry was posted in fashion, Feature and tagged fashion, metallic, tasha on December 10, 2015 by louisaglowwbox.